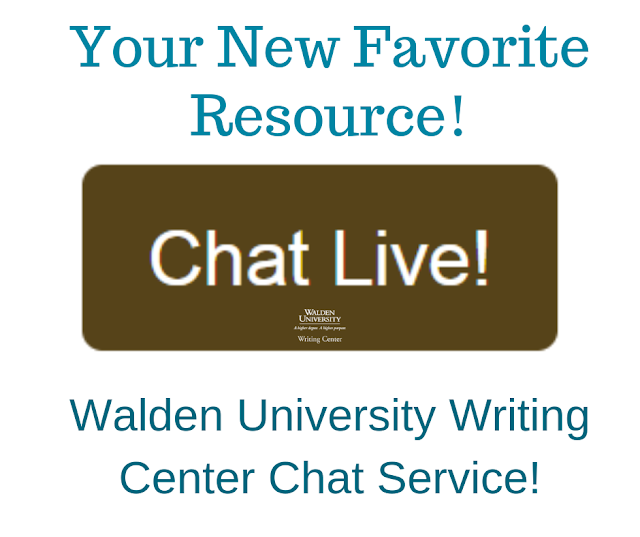 Did you know that the Walden University Writing Center has a Chat service? Did you know the Writing Center Chat service is run by qualified writing instructor professionals? That’s right! The very same writing instructors that work hard to review your papers and provide instructional feedback are the masterminds behind our Chat service. This means that you can go to the Writing Center website, locate the Chat schedule, and sign in to chat during the available chat times to receive live help with your most pressing and immediate writing questions. Specifically, during chat, writing instructors can answer questions about academic writing, APA style and citation guidelines, writing process, word choice, sentence structure, and general grammar concerns. We can also answer questions about Writing Center services and resources, including myPASS, paper reviews, modules, webinars, and web resources. What does this Chat service allow you to do? The Chat service provides an additional communication channel for students who have immediate writing questions. Because online students often crave immediate, personalized support, this service’s goal is to reach students who may not be inclined to e-mail us with their inquiry (though our policy is to answer all emails within 24-hours) or try to search through our web content. Through this synchronous chat service, we are able to: provide convenient and accessible writing support, answer a wide gamut of writing questions, expand our on-line offerings, and foster social learning. What value! How does the Chat service work specifically? 1. Log in to chat by clicking on the "chat live" button on the Writing Center homepage. That’s it! A writing instructor will be there to answer your question/s. Now that you know about the Writing Center Chat service, I invite you to give it a try and experience receiving real time writing assistance, instruction, and resources from qualified writing instructor professionals. It is truly a great opportunity! Christina Lundberg received her BA from the University of Minnesota and obtained her MFA from Naropa University. Presenting over 6 years of college teaching experience at various academic settings, Christina has taught a wide array of English courses both residential and online. 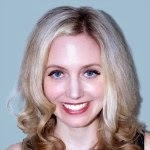 Christina is driven by the desire to grow, shape, and develop a page to reach its highest potential. In her position as a Walden University Writing Instructor, she enjoys witnessing the transformations of a good paper grow into greatness. Hello I am a student at walden trying to put together my portfolio for the assignment. I am having a problem with getting my other word documents onto one document by way of cutting and pasting but the format keeps changing can you help me with this? Having difficulty with formatting issues when trying to combine different papers onto one. Hi my name is Yvette Ghannam. I do have a question for you. When I am writing in my dissertation document the Acknowledge (usually is the page to thanks people helping in the process...). Thus, my question is can it be writing in two pages? Hi, Yvette. This is a great question for our Office of Academic Editing, as they are the experts on writing and formatting capstone documents. They host their own chat service, called Editor Office Hours, which you can find on the left side of the Form & Style homepage: https://academicguides.waldenu.edu/formandstyle You can also email them at editor AT waldenu DOT edu, and they will respond during regular business hours.